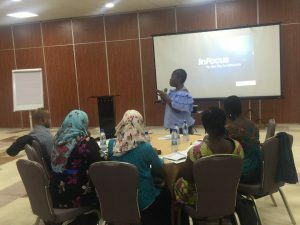 For majority of children in Ghana, violence is an unfortunate part of their everyday life. According to official statistical reports, 9 out of 10 children are exposed to mental or physical violence, and physical punishment is a common phenomenon. More shocking are the figures for sexual violence: one out of five girls is sexually abused. There is an urgent need for action to protect children from violence! 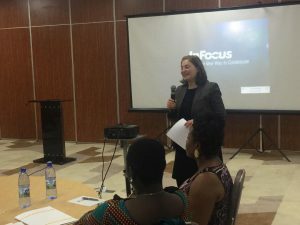 For girls and boys who experience and survive violence or abuse, a central, child-friendly centre providing the most essential services under one roof would be established from the first quarter of 2019, where trained personnel from the Social Welfare, Domestic Violence Unit of the Police Service (DOVVSU) and Ghana Health Service are available to offer prompt, secured and confidential service to victims. 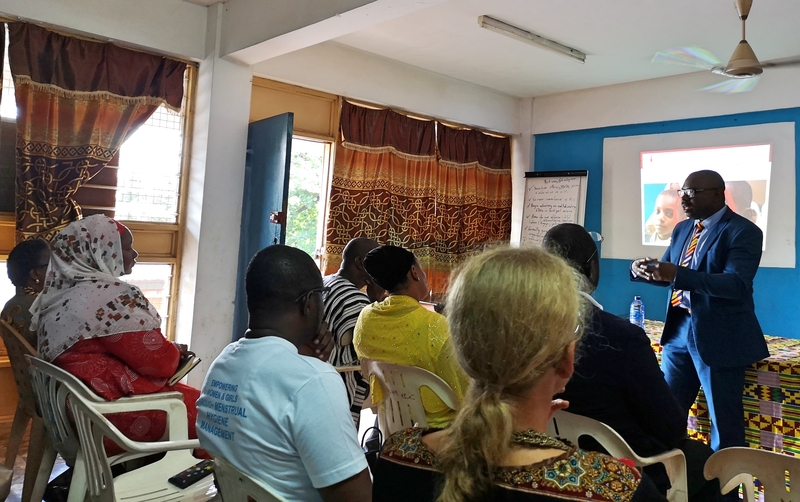 Our team conducted a technical workshop with representatives of Ministries and other key stakeholders responsible for child protection in Ho, South-East Ghana together with experts from Zanzibar to discuss and develop a roadmap to establish a pilot in Accra. These are the main results at a glance. 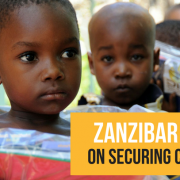 In November 2017, the World Future Council Foundation invited political decision-makers from 12 African and Asian countries to Zanzibar to acquaint themselves with the country’s comprehensive Children’s Act and its implementation. Zanzibar won the Gold Award of the “Political Oscar” Future Policy Award in 2015. 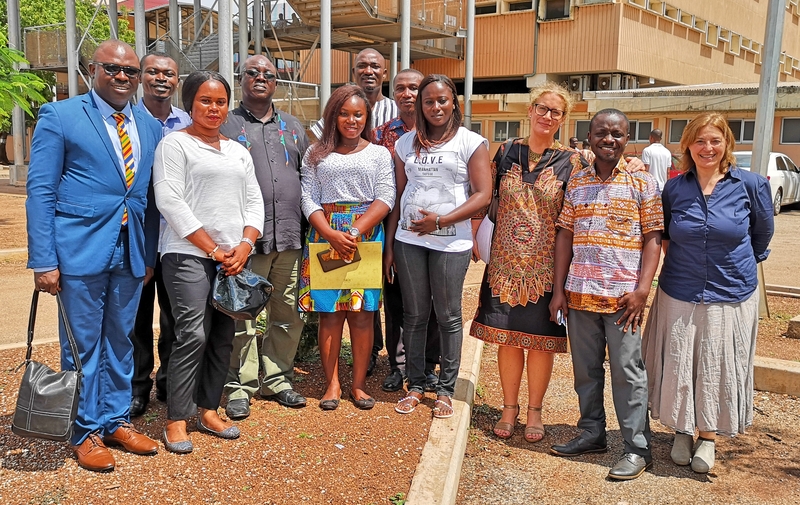 The Ghanaian delegation, consisting of representatives from the Department of Children of the Ministry of Gender, Children and Social Welfare and the Law Faculty of the Ghana Institute of Management and Public Administration were inspired by the one-stop-center model that Zanzibar has currently implemented in 6 out of 11 districts. 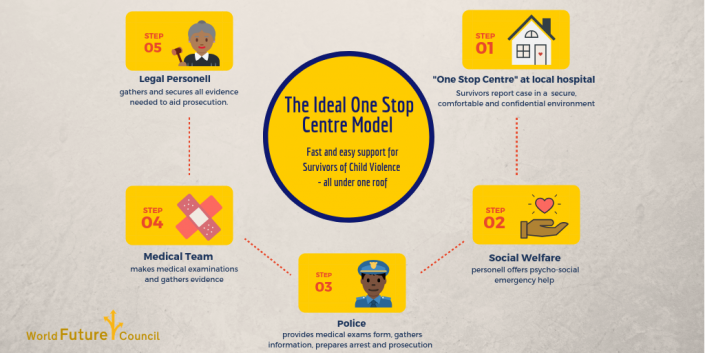 What is a one stop center? As an important element of a strong national child protection system, the one-stop-centres provide survivors (girls and boys, women and men) with various initial services under one roof. As a result, the affected person does not have to go through the trauma of narrating the incident several times and also receives quick help. It helps parents stay focused on treating their child and persecuting the perpetrator. In cases without the OSC, survivors mostly have to visit different institutions – that costs money and time and often parents lose the momentum to persue the case. The later a case is reported, the harder it is to gather evidence of abuse on a child’s body. Psycho-social support – this is where the first interview takes place and the social worker decides which further steps are required. If there is an abuse / violence, the child will be escorted to the next room, where a police officer in civilian clothes and trained in child-friendly behaviour will fill in the form to follow up the case. Medical examination: in a third room, a medical doctor takes care of the child. Here the first medical and forensic examinations take place. If the child needs further special treatment, it will be treated immediately in the hospital. The employees of the one-stop-center are provided by the relevant ministries (Health, Interior, Family Affairs) and the Centre is (at best) coordinated by the Ministry of Health. All employees receive same training so they can better collaborate and follow same procedures and guidelines in writing the reports. This makes it easier for the police and the courts to track and prosecute cases. 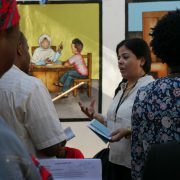 Support for counseling and legal aid is ideally offered in the fourth room. 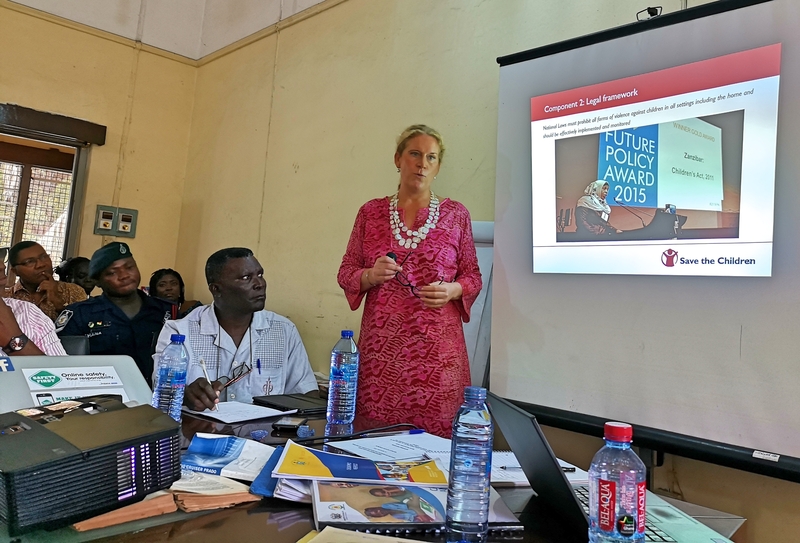 After intensive discussions with the Department of Children from April 2018, the World Future Council Foundation organised a technical workshop to fully introduce the state agencies in the establishment and management of a one-stop-center model in Ghana from the 25-27 November 2018. 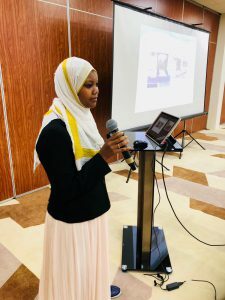 We invited experts from Zanzibar to Ghana: Deputy Chairwoman Halima Abdallah, who spearheaded the establishment of the One-Stop-Center in the Ministry of Family and Health, Dr. Marijani, who has been responsible for medical and forensic investigations since its implementation in 2011, and Farshuu Khalfa, head of a one-stop center in Stone Town. 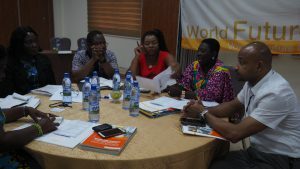 Their insights, expertise and practical experience were most welcome and helpful in drawing up the roadmap for Ghana. Under the auspices of the Children’s Department, 30 key representatives and decision-makers took part in the workshop to discuss the need for the OSC and to develop the roadmap for a pilot program. 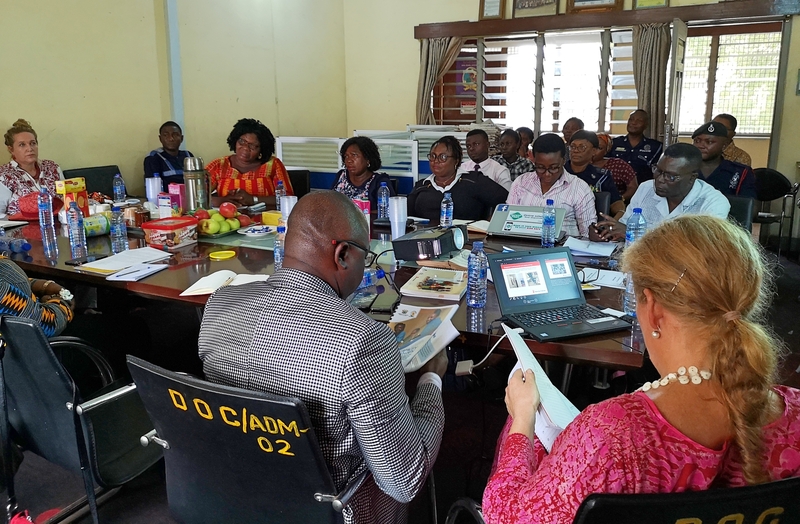 The participants represented the Ministry of Health, Ministry of Interior, Ministry of Gender, Children and Social Protection, the Social Welfare Department and the specialised Domestic Violence Unit of the Police service – DOVVSU. 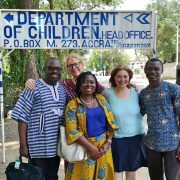 Medical representative and international child rights organisations including ActionAid, World Vision, International Needs, UNFPA and UNICEF were also present. Working groups during the workshops. Environmental Education has been a priority in the Chinese education system. But unfortunately, there was no significant increase in the students’ engagement for environmental protection so far. China is therefore interested in learning from successful models in other countries. We organised a conference in Maryland in 2016, and presented their award-winning Environmental Literacy Standards. During the conference, we looked into the success factors of the legislation which aims to educate students to become environmentally and sustainability aware citizens. A Chinese delegation has also been present back in 2016. Inspired by the conference, they now visited Maryland again and met with officials at Maryland State Department of Education (MSDE). They discussed various topics and questions, for instance regarding the curriculum framework and the relationship between government environmental agencies and school systems. How to provide more suitable materials and publicity channels for environmental education? How to improve the teaching staff’s environmental education level? And how to raise national awareness of environmental protection and establish public awareness of environmental supervision? 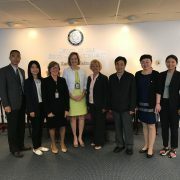 The delegation would like to conduct exchanges of experience in environmental education legislation in Maryland, particularly its experience in formulating environmental education standards, as well as successful cases of environmental improvement through education. The World Future Council facilitated the meeting will follow up on this topic with the Chinese delegation. 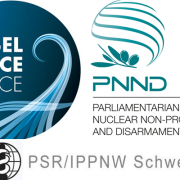 Students from Hamburg’s Julius-Leber-School (second level school) research living sustainably and support the work on “Rights of Children” at the World Future Council. This is one of the times when we ask ourselves: who is helping whom? 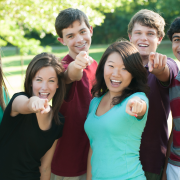 Are we helping the children and adolescents, or are they helping us? 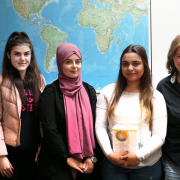 The collaboration with the Julius-Leber-School in Hamburg began with an Erasmus+ project, called sustain.me, which was attended by the head of our Rights of Children department Samia Kassid in the early summer of last year. As part of sustain.me, second-level students from Germany, France, Belgium, Italy and Spain came together to work together on the project on sustainability. The students have been dealing with the topic, sustainability, for two school years and have taken a close look at areas such as nutrition, waste, consumption, fast fashion and clothing, tourism and sustainable living. The Hamburg students were experts on fast fashion and clothing. The event in Hamburg gave us, at the World Future Council, an exciting opportunity to share many insights into children’s rights with the students. We explained what children’s rights are and where and how they are being ignored, such as child labor in the clothing industry. The students hand over the donations for the World Future Council to Samia Kassid. A year later we received a message from the teacher Marion Walsh: The students had collected donations for us during the school year and she asked if it were possible for them to visit us. Of course we agreed and they came to the Hamburg Foundation Office. Along came the students, Aysenur, Begüm and Sanja, we were extremely impressed by their dedication to the cause. 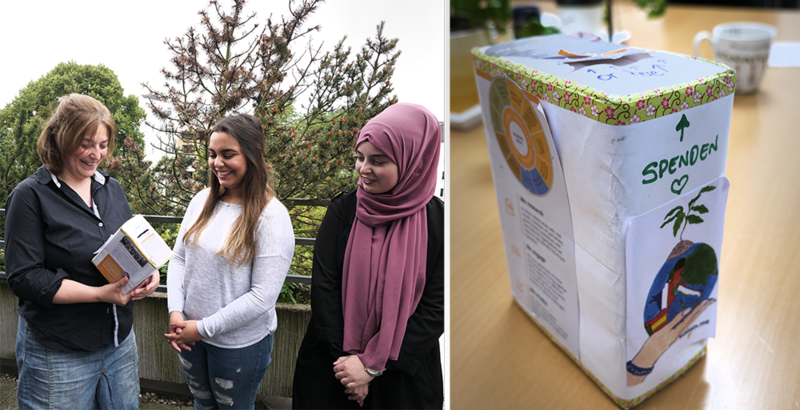 The three young women could not let go of the topic: “We must leave a healthy planet for future generations,” says the 18-year-old Begüm and everyone has the opportunity to contribute to this! Since then, the students have given presentations to children from various levels, like 6th grade, on the topic of children’s rights and sustainability. They have talked to them about plastic in the oceans, violations of human rights in the value chains of the textile industry and how everyone can reduce their ecological footprint in everyday life, for example, through waste prevention or conscious shopping. They have also used the books and information distributed by the World Future Council to support their research. Amongst many lessons (students-teaching-students) they have held workshops with the students where they learned to make their own organic creams and scrubs thus demonstrating that these feel-good homemade products and gifts are not only more sustainable, but also more personal. All of this in English, of course. They question their own consumer behaviour and for them it is clear: It does not have to be meat every day and you can do without buying the clothes from the cheap chains. At the annual school’s Christmas “open door day” and during school breaks, Aysenur, Begüm and Sanja set up a donation box for the World Future Council. Last week at our Hamburg office, the heavy box was handed over and we were delighted by the generous donation! Begüm even volunteered to give an interview in which she talked about her activities. 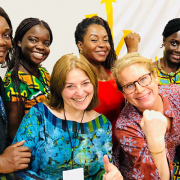 We were thrilled with the dedication and enthusiasm of these young women and this not only contributed to an all-round good mood, but we also received a lot of input and inspiration for our work. Begüm is one of the students from the Julius-Leber-School in Hamburg, who has passed on her knowledge on children’s rights, environmental protection and sustainability to younger students. 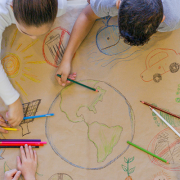 We would like to thank the pupils of the Julius-Leber-Schule for their commitment to present and future generations, when it comes to sustainability, and for their support for the World Future Council. A special thanks go to Aysenur, Begüm and Sanja as well as Marion Walsh. We plan to keep in touch with each other and look forward to collaborating again in the future. Given the huge challenges the world faces, it is clear that we need to teach, learn and live in a fundamentally different manner. 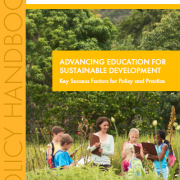 Education for Sustainable Development (ESD) is increasingly recognised as playing a central role in empowering learners of all ages to positively respond to local and global challenges and act in a more peaceful, just, inclusive and sustainable manner. This approach is already helping people develop the skills, values and attitudes necessary to create more resilient societies and transition towards the skilled, green, low-carbon economies of the future. 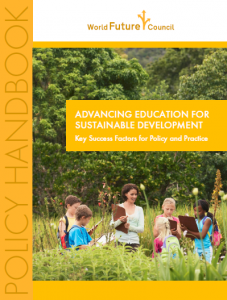 This handbook explores some of the central success factors in policy, process and practice in some of the pioneering countries and contexts where ESD is being effectively embraced. It examines some of the major trends, case studies and challenges in introducing this more holistic, progressive, hands-on education.